Big data is changing the fashion industry and turning the retail world upside down. Fortunately for customers, it could make better shopping experiences. Fashion may not be the first thing that comes to mind when you think of big data, but fashion designers are using big data to create and market their clothing. Fashion appeals to everyone in the world on some level, but different people have different preferences and tastes. Using big data, designers can learn some surprising information about their designs, and help ensure that their business remains a success. Here’s what to know about how big data is changing the fashion industry. How is Big Data Changing the Fashion Industry? The fashion industry has undergone a ton of changes in recent years. Jeremy Sutter wrote a fascinating article for Innovation Enterprise titled Big Data Hits the Runway: How Big Data is Changing the Fashion Industry Who knew the cloud could be so fashionable? Sutter focused on a number of changes that are coming into play. Big data is clearly helping brands with their marketing, but it is also helping them find the best products to bring to the market. Here’s how designers are taking advantage of big data. Sutter said that the most important application of big data was choosing the right colors. Designers can collect market data on previous fashion lines. They can easily drill down and see which customers prefer which colors. Designers must have a pulse on trends in the fashion world, but it’s especially important for them to understand which colors their own customers prefer. Using big data, fashion designers can see which colors are most popular and make changes to their designs to meet the needs of their customer base. Data can also be used to help set prices for your clothing. Every piece of clothing that is produced for the runway must be priced as soon as it leaves the stage. It is crucial for designers to understand what customers will pay for their clothing. Big data can help designers find an average price that will attract more buyers. It can be a challenge for designers to decide whether they want to focus on men’s or women’s clothing. Every designer has a different target audience, and the designer must understand this audience. Big data helps designers understand which customers are making their purchases, how many items are sold and the size of their purchases. Using this information, designers can determine whether it makes more sense to focus on men’s or women’s clothing. Let’s say that your brand sold nursing scrubs, a profitable niche in the fashion industry. Using big data, you were able to determine that more men were making larger purchases from your brand. It may be more profitable to cater to the smaller – and more in-demand – niche of men’s nursing scrubs. The days of mass marketing are nearly at an end. More businesses are realizing the benefits and effectiveness of targeted and personalized marketing, which helps get products in front of the right people. Insights from big data can help designers plan strategic marketing campaigns that target just the right audience. Big data can still provide designers and even retailers with a competitive edge, as many in the industry have yet to jump on the big data bandwagon. To succeed in the fashion industry, brands need to be able to predict trends and stay in touch with the ever-changing whim and desires of consumers. Retailers in particular need to keep a pulse on trends to attract foot traffic and increase sales. Traditionally, retailers relied on the opinions of designers and trends seen during fashion weeks around the world when going through their planning process. 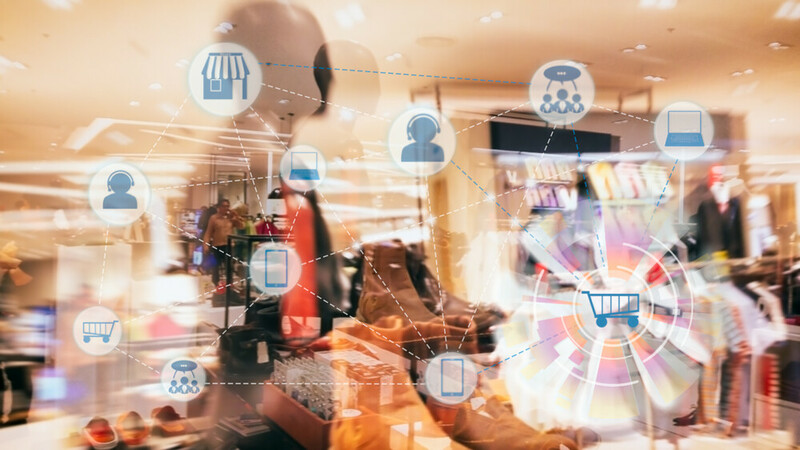 Thanks to social media, retailers can follow customer trends by leveraging data from Pinterest, Instagram and other social networks. Millennials are far more likely to be loyal to brands that use social media, according to a study from Forbes, so it’s worth the effort to leverage these networks for trends. The fashion industry has evolved over time. A number of factors are coming into play. The sudden benefits of big data have been highly beneficial for designers around the world. They are helping them come up with the best designs and refine their marketing strategies for every customer.